VersaClimber is the Leader in Total Body Fitness and has maintained it’s reputation as a trusted name in fitness for 33 years. VersaClimber is the #1 leader in total body, vertical training, and you certainly won’t ever regret purchasing this amazing machine. Studies have shown that moving arms above your heart and over your head promotes better circulation delivering longer lasting cardio results. The machines unique arm and leg push/pull action assists in making this happen. Health clubs, physical therapy clinics, military, universities, professional teams and other. Training and conditioning facilities world-wide embrace the VersaClimber for its unsurpassed cardio benefits, versatility and relentless durability. With the VersaClimber, you get better results in less time, with the highest calorie burn rate than other ellipticals, treadmills and steppers. The zero impact, injury free, total body, functional training workout is something you’ll never forget, and will enjoy for years to come. Buy VersaClimber 108LX online. 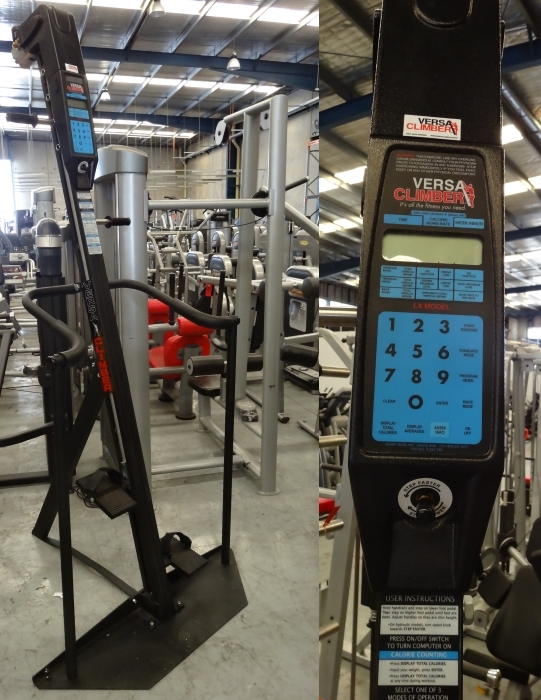 If you are interested in the VersaClimber 108LX for sale, feel free to enquire above.